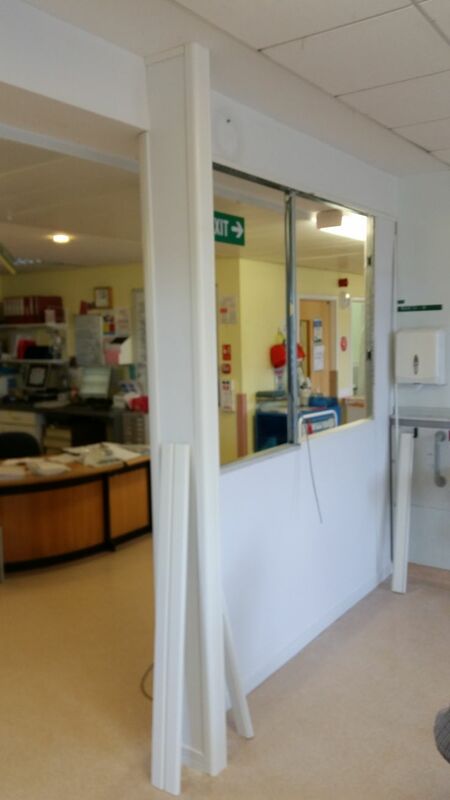 We installed this new partition wall on the Notley ward of Broomfield Hospital in Chelmsford. 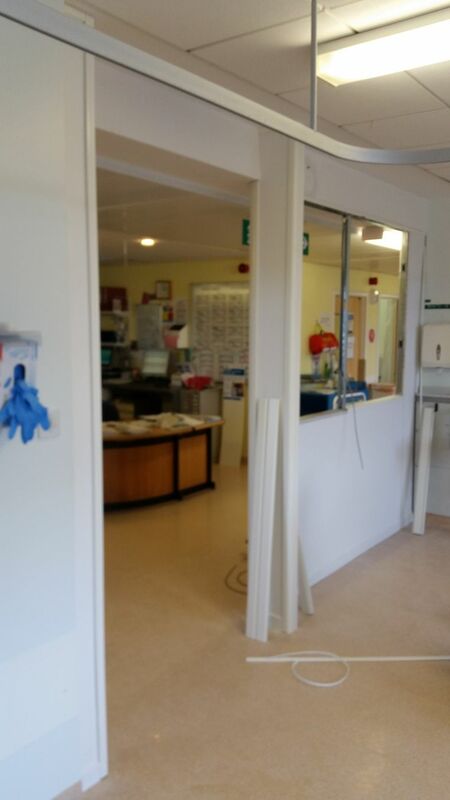 The partition was designed to create a private feeling room while allowing easy observation by medical staff. We used the SAS System 3000 partition with a half-glazed window and combined this with a single plasterboard partition.